Colette Peters ’93 is the first woman in Oregon’s history to hold the title of director of the state’s Department of Corrections. She heads a $1.8 billion organization with 4,700 employees and oversees 14,700 adults in the department’s active custody, plus many more on probation, parole and post-prison supervision. Throughout her career, Peters has kept the Benedictine values she learned at CSB at the heart of her work. “Research has shown us that if you treat these individuals like humans, like the Rule of Saint Benedict, they will come back to us and they will be good neighbors,” she says. Peters won the Distinguished Alumna Award, which honors an alumna who has distinguished herself for outstanding achievements in her chosen profession and has made a lasting contribution in her field as a role model and leader for all alumnae. Colette Peters received the honor as part of the Reunion 2018 Awards. 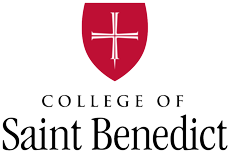 Peters received a Bachelor of Arts degree in psychology from CSB, as well as a master’s degree in criminal justice from the University of Colorado in 1997. She has also served as a juvenile counselor in Iowa, worked at a halfway house in Minneapolis and as a victim’s advocate with the Denver Police Department. In 2004, Peters began her career with the Oregon Department of Correction’s public affairs administrator and was promoted to assistant director. She then was given a second title as inspector general, serving as an adviser to Max Williams, who then ran the Corrections Department. In 2008, Peters and her husband returned to Minnesota, but moved back to Oregon in 2009, where she was chosen to head the Oregon Youth Authority. She served in this position until being named head of the Department of Corrections in February 2012.